From the introduction: A great and enduring book isn’t comprehensive; it is highly, even ruthlessly, selective, zeroing in on the most evocative and illustrative moments while dispensing with the clutter that might prevent the high points from resonating to maximum effect. She was being crushed. Not all at once, but slowly, a little at a time. The pressure of ten million tons of ice was driving in against her sides. And dying as she was, she cried in agony. Those that burdened themselves with equipment to meet every contingency had fared much worse than those that had sacrificed total preparedness for speed. That soot-blackened floe which had been their prison for nearly four months—whose every feature they knew so well, as convicts know each crevice of their cells. The sea is a different sort of enemy. Unlike the land, where courage and the simple will to endure can often see a man through, the struggle against the sea is an act of physical combat, and there is no escape. It is a battle against a tireless enemy in which man never actually wins; the most that he can hope for is not to be defeated. [Elephant Island] was the refuge of twenty-two men who, at that very moment, were camped on a precarious, storm-washed spit of beach, as helpless and isolated from the outside world as if they were on another planet. Their plight was known only to the six men in this ridiculously little boat, whose responsibility now was to prove that all the laws of chance were wrong—and return with help. It was a staggering trust. The adaptability of the human creature is such that they actually had to remind themselves on occasion of their desperate circumstances… Had someone unexpectedly come upon this bizarre scene, undoubtedly the most striking thing would have been the attitude of the men . . . relaxed, even faintly jovial—almost as if they were on an outing of some sort. It seemed now that everything—the wind, the current, and even the sea itself—were united in a single, determined purpose—once and for all to annihilate this tiny boat which thus far had defied all their efforts to destroy it. But sufficiently provoked, there is hardly a creature on God’s earth that ultimately won’t turn and attempt to fight, regardless of the odds. In an unspoken sense, that was much the way they felt now. They were possessed by an angry determination to see the journey through—no matter what. After sliding down a 2,000 foot mountain in blinding fog on their rear-ends: They found themselves laughing uncontrollably. What had been a terrifying prospect possibly a hundred seconds before had turned into a breathtaking triumph. This indomitable self-confidence of Shackleton’s took the form of optimism. And it worked in two ways: it set men’s souls on fire; as Macklin said, just to be in his presence was an experience. It was what made Shackleton so great a leader. 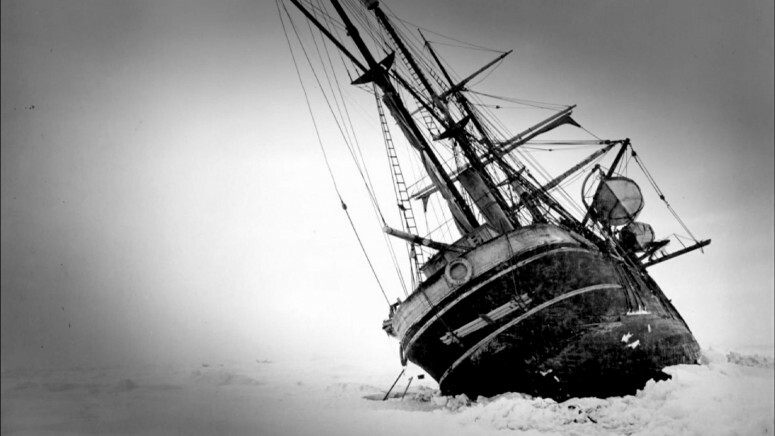 For scientific leadership give me Scott; for swift and efficient travel, Amundsen; but when you are in a hopeless situation, when there seems no way out, get down on your knees and pray for Shackleton.